Say hello to the great outdoors, a stone’s throw from Queanbeyan. Photos: Supplied. The problem potential property pundits face when looking for a ‘tree-change’ is that affordable and beautiful homes are too far from civilisation. So when you’re able to find exactly what you’re looking for only a few minutes away from where you used to live, then you’re onto a winner. Potential buyers need look no further than this dual-property block on 17 Clydesdale Road, Carwoola, NSW. This is a perfect choice for the budding tree-changers and boasts a lot of unique features to sweeten an already impressive deal. Vanessa Dix from Independent Property Group Queanbeyan says the large property is perfect for families looking to spread out but still enjoy being close to the action “It’s great for amalgamated families and it’s only a seven minute drive to Queanbeyan CBD”, she says. And in fact, it’s really quite close to Canberra CBD too. “It’s not too far from Canberra to go to work and you’re also enjoying rural life, plus you can easily go out to Bungendore,” Vanessa says. The generous property boasts two separate dwellings, perfect for a ‘main’ family hub, plus a home for relatives, guests or even as a rental property. 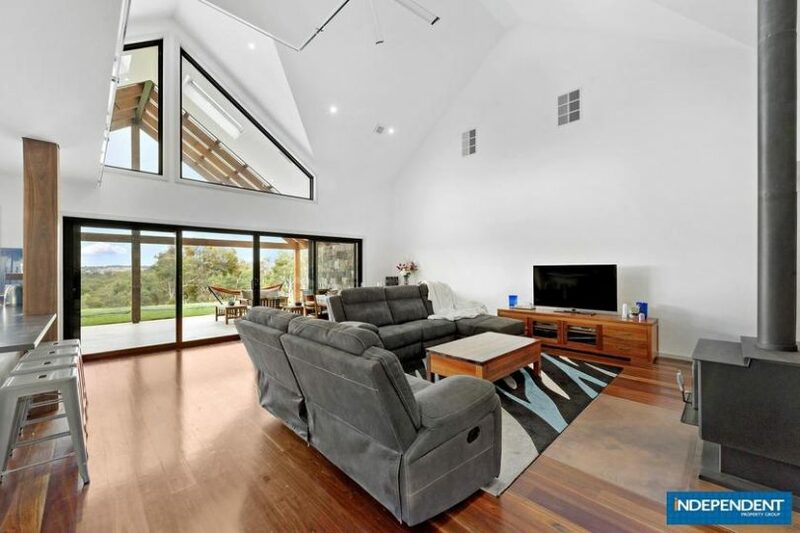 “There’s a main house and small house on the 13-acre property – surrounded by some wonderful bushland. It’s really great for families and kids who are into the outdoors and might love motorbike riding!” she says. Modern, grand interiors in the main dwelling mirror what’s right outside your back door – space. Vanessa noted that the original home on the property was actually the smaller of the two, which was lived in by the owners until the second, much larger dwelling was built. “The main house was completed in 2015…so the home feels new. On top of that you have got special features like snake vibrators, two ovens, an outdoor kitchen, a pizza oven – there’s really lots to like”, she says. Relax on your own mezzanine level at your leisure. 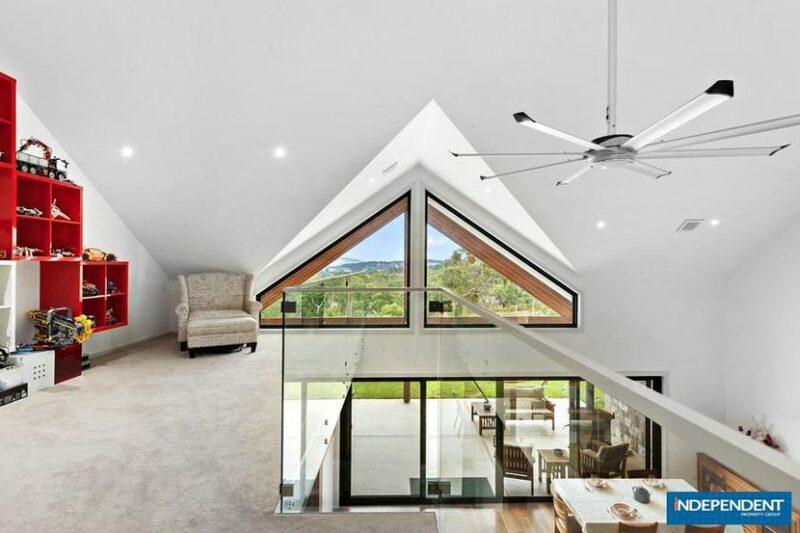 The time taken on the newest build meant that no detail was left out, with the home boasting modern sleek interiors and cathedral-like high ceilings. The mezzanine is a particularly inviting feature, according to Vanessa, “My favourite feature would have to be the in the main house. In the loft there is an ideal corner and the views just take your breath away. It’s a great spot to read a book with a glass of wine and take it all in”, she says. It’s also the small things that make a difference, too, “The house has a feature stonewall, and the stonemaker’s signature is embedded into the work, so that is a great little feature”, Vanessa says. The main house kitchen, with a view (of course!). Across the two homes you can enjoy up to seven bedrooms if you so desire, or you can repurpose one or two into rumpus, play or music rooms as you please. There are a total of three bathrooms including a generous ensuite, so you won’t be waiting for the shower for any length of time. The second home is uncomplicated and warm – perfect for housing grandparents. Leave guests or grandparents to their own devices in the second home. 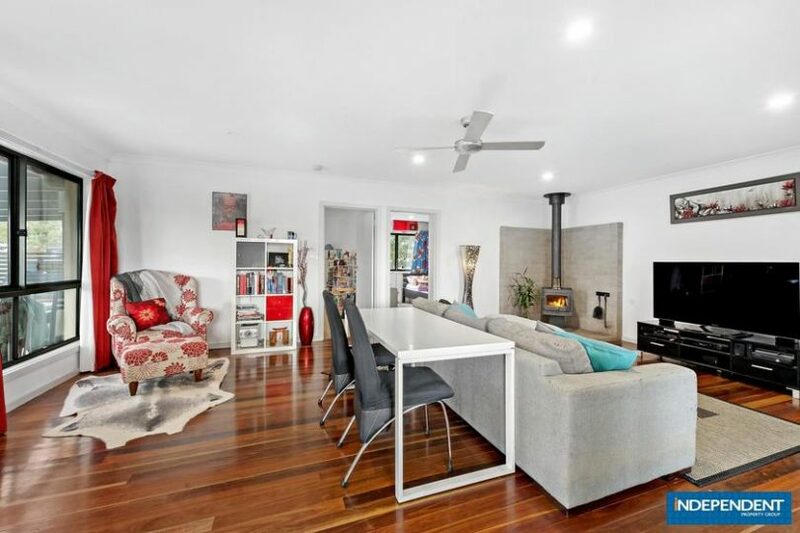 As you walk across the ubiquitous spotted gum floors, a self-contained wood fireplace in the corner adds to the warmth. The second home living area – pick and choose your hang-out zone. 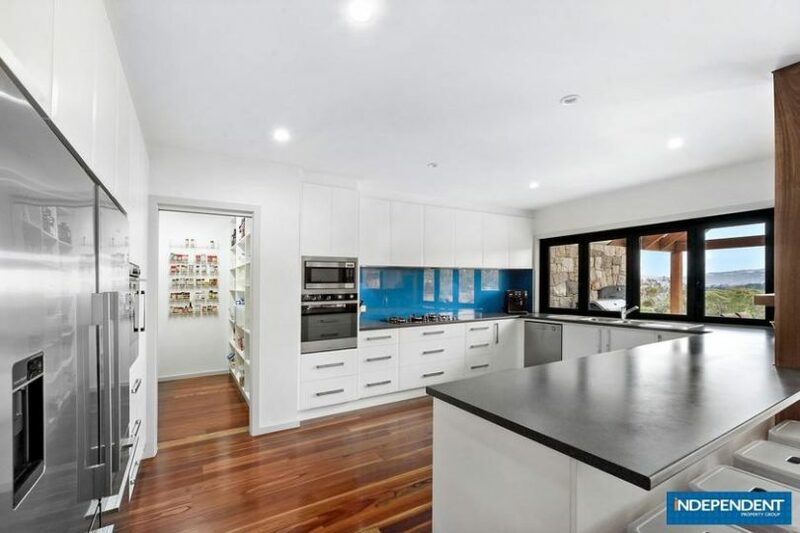 Such breadth of choice makes the home perfect for families, according to Vanessa, “It’s definitely a family home because it is close to schools in both Queanbeyan and Canberra. It’s perfect for a Defence family or even one who wants to rent the secondary house out,” she says. The home is already attracting several potential buyers, “We have had quite a high interest so far. Last weekend we had five groups through and what’s attracting them is the quality of the build, and its location,” Vanessa says. Wide open spaces everywhere you look. 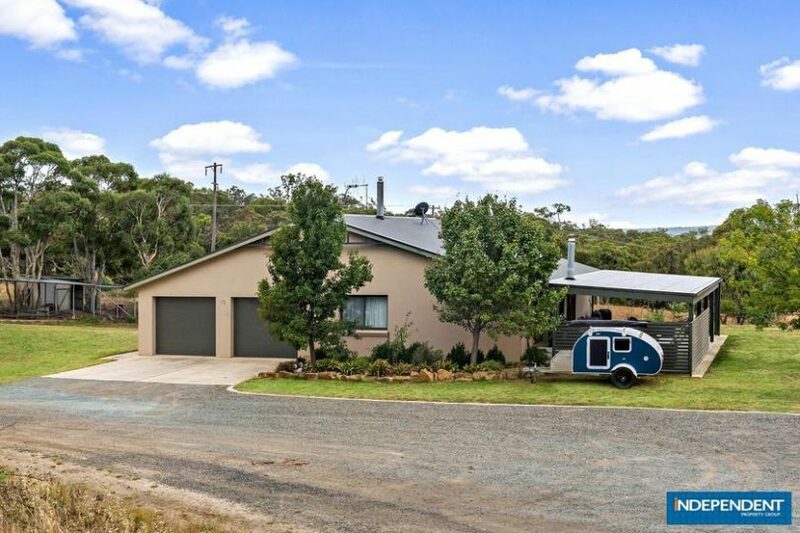 You won’t be short of a cool glass of water in summer either, “The property has two 95,000L water tanks, a 20,000L tank and a dam – so enough water to cover Queanbeyan for a few months!” Vanessa says. 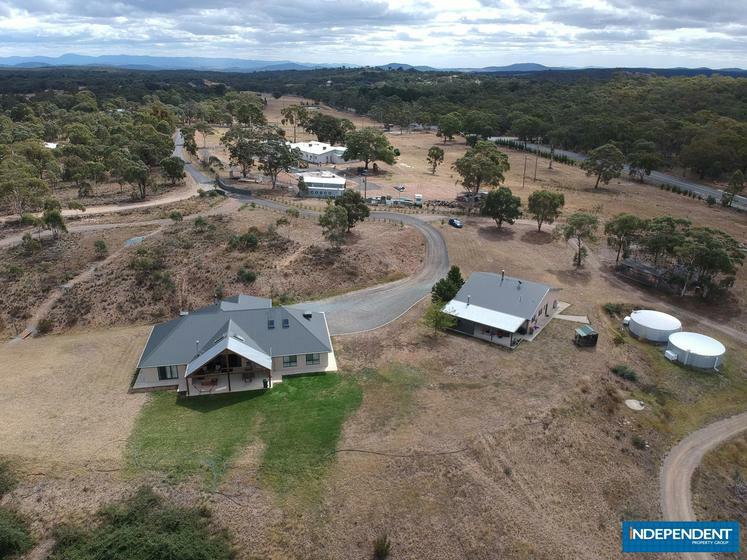 17 Clydesdale Road, Carwoola is on sale through Independent Property Group Queanbeyan, and offers between $1,450,000 and $1,595,000 are being considered. 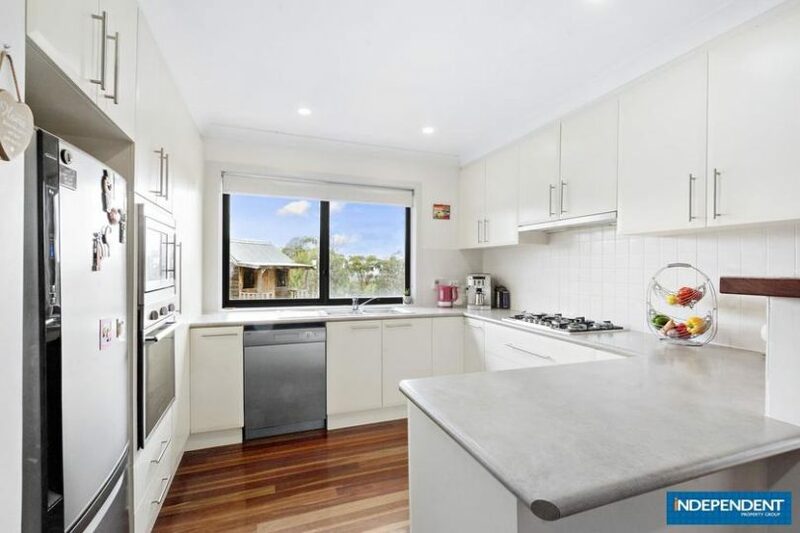 To arrange an inspection contact Vanessa Dix (0403 550 720) or Igor Srbinovski (0410 606 401) or click here.